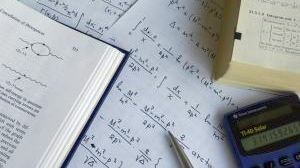 The main areas of mathematics are algebra, number theory, analysis, geometry, topology, mathematical logic, algorithms, stochastics, and numerical mathematics. The program in Mainz covers all these areas of pure and applied mathematics. It stands out due to its many possibilities for specialization, which guarantees a well-balanced blend of practical relevance and theoretical depth. Pure mathematics deals with abstract structures and relations. Applied mathematics transfers these relations to applications within the fields of natural, engineering, social and economic science. Studying Mathematics at JGU also includes a minor subject that is linked to the field of mathematics. Any of the following can be chosen as a minor subject: Theoretische Physik (Theoretical Physics), Experimentalphysik (Experimental Physics), Informatik (Computer Science), Wirtschaftswissenschaften (Economics), Betriebswirtschaftslehre (Business Administration), Volkswirtschaftslehre (Macroeconomics), Biologie (Biology), or Philosophie (Philosophy). A unique characteristic of studying Mathematics at the University of Mainz is the traditional teaching of “Geschichte der Mathematik und der Naturwissenschaften” (“History of mathematics and natural science”) which can also be chosen as a minor subject. Today more than ever, mathematics represents an active and productive research area. In our modern information society, mathematics is omnipresent: New computer chips are designed according to mathematical models. Complex processes in the fields of social systems and taxations are hardly imaginable without mathematicians, who also advise companies when it comes to complex business decisions. Mathematicians can work in a number of areas: in schools, higher education institutions, civil service, economic counseling, in research and development in different industry sectors, in data processing and electrical engineering, as well as in banking and the insurance industry.